As the days get warmer, hopefully you’ll get time to enjoy being outdoors more. While it may be difficult to work in a weekend away, you can always enjoy a warm afternoon in your own backyard. Before you do, why not spruce it up to still give you that special feeling of being transported somewhere else? Here’s a few ideas for giving your deck a spring makeover! One of the easiest ways to add some life and color to your outdoor space is to add some plants! Succulents are a great option since they require little maintenance and hold up well to the varying temperatures of summer days here in Cincinnati. Take a look at the sunlight on your deck to consider some other options. Chances are, some shade friendly varieties like foxgloves, pulmonaria, coral bells, and primrose are all going to work well if your deck gets only partial sun. A few sunflowers by the edge of your deck can be a great vibrant border with the rest of your yard. You’ll want to be able to enjoy your deck late into the evening, especially as summer heat reaches higher points, so lighting is going to be essential. You can stick with some basic outdoor lighting, but getting creative will help set a sense of ambiance. Edison lamps, tiki torches, and even christmas lights can all be used to create a unique lighting ambiance. Don’t feel restricted to just one lighting type either, using layered lighting will create a more interesting appearance. Consider setting a few larger bright lights, then a handful of softer area lights, then finally strands of some kind of lower lighting. Not only will this give you that layered affect, you can set them on different circuits or switches, allowing you to pick and choose the lighting level for any given moment in the evening, from the bright energetic early hours of a party to the softer and more intimate later evening. No backyard party is ever complete without food and drink. 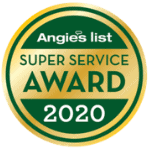 So you want to include service options in your deck makeover. A grill is, of course, a common staple, and a good grill can serve as an anchor point to your service option in the same way your stove and oven anchor your kitchen indoors. Add in some counter space, coolers, or even a refrigerator option, and you’re well on your way to an eye catching outdoors. Drink options can be everything from a small tasteful wine rack to a kegerator with ice. You’re going to need a place for everyone to sit! Of course, wood deck chairs, wicker furniture, and folding chairs will always be popular, but designers are developing new materials or improving old ones to allow for far more furniture options outdoors than ever before. Checking out a housewares or design store will certainly open up some options for you, but also check out hardware and even camping stores. Outdoor outfitters like REI or Field and Stream will have lots of options that are designed for durability and comfort that may go great with your new deck. Finally, accent pieces will help flesh out the remainder of your deck design. Find a theme and run with it, and don’t be afraid to think outside the box. Go tropical and find artificial plants designed to look like ferns or small palms to give a far away feel, or go for the dive bar theme and put up some old road signs and used car license plates. Don’t feel restricted, this is where you get the chance to really let your personality show through, and it can be done easily on a budget! 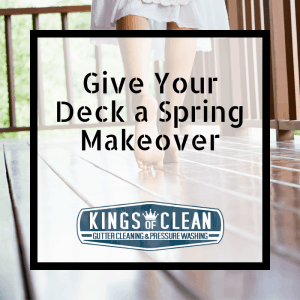 Regardless of what you decide to do to give your deck a spring makeover, your first step needs to be getting it cleaned. 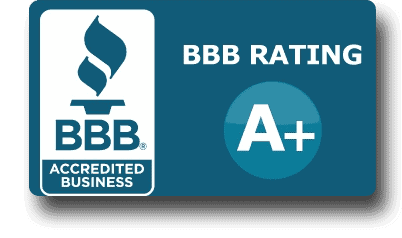 Call us today for a deck washing, and make your sad old deck look brand new!